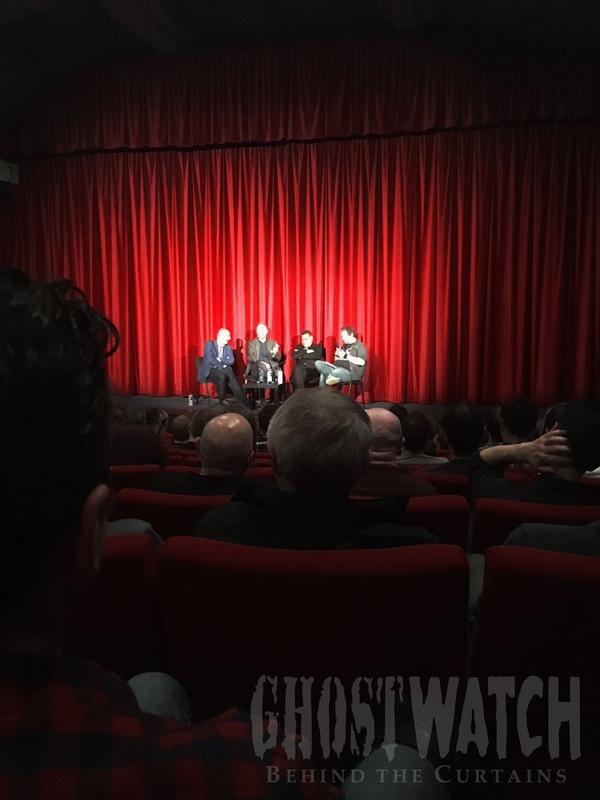 Ghostwatch: Behind the Curtains: No, this is not a mask..! No, this is not a mask..! It's that time of year, again. 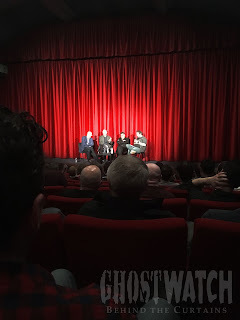 No, not just my annual trip up to Scotland, but also me talking about Red Dwarf on this dedicated Ghostwatch site, again. You might recall, around this time last year, we reported on a special preview screening of the oft-inaccurately described, cult sci-fi spoof's eleventh series. This time, it was for XII. The fine venue, as before, was Edinburgh Filmhouse, situated amidst the perpetually-hectic, occasionally career making/breaking, Fringe Festival. Similarly, again in attendance were writer/creator, Doug Naylor, the occasionally metric-cheeked Robert Llewellyn, and our very own inexplicable Hater of Duck Apples, Craig Charles. In recent years, and certainly as far back as Back To Earth, it seems to have become something of a tradition to premiere the latest episode out of the gate ahead of broadcast, by way of some exciting, cinematic presentation. This is undoubtedly made all the more possible by these later series' widescreen productions more generously lending themselves to the big screen, despite inevitably evoking what-might-have-beens for the long-mooted Red Dwarf Movie, which despite the lovable naysayers, I still live in hope to one day see take-off, and soar through orbit. Specific details concerning the episode as seen on Wednesday evening are, of course, not to be revealed until the word is given, or perhaps better yet, after said episode has screened. So, fear ye not, those expecting spoilers hence forth. 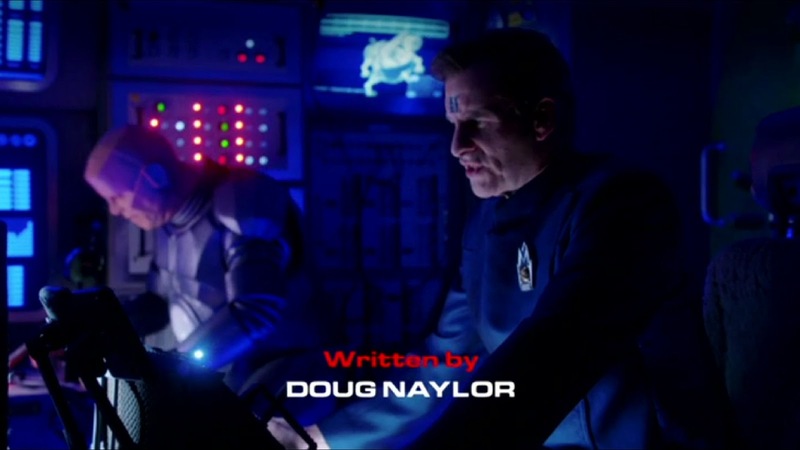 With that in mind, in general terms, this particular episode did not feel as merely straightforward an extension, or even elongation of the previous XI, that you might naturally expect. In fact, at times, it felt quite different to watch, even tonally from the last series, though still varnished in the same tint of thoughtful humour and high ambition throughout. This is mostly unsurprising, as Red Dwarf has always been known as a show which evolves in line with shifting trends. Its seemingly increased production standards alone, are interesting to compare with each past cooling rack of crunchy episodes, if only to see just how much has already improved visually after only a relatively short break in filming. The careful application of Kryten's mask, for instance, here appeared noticeably improved from the last series or two. And yes, that matters, consarn'it. This shot of the Starbug cockpit in the 2016 episode Twentica, proudly features a practical, hero display panel of the iconic vessel's laser-scan/read-out/wire-frame graphic inspired by the Series VI set, painstakingly realised by a RoboLister-sized team, of which I could count myself a very proud member. In fact, the original concept art was first unveiled as an events poster, though I had always hoped to see it in motion. Those fortunate enough to check out the recent XI DVD might even recall the artwork also seen behind lead actor, Danny John-Jules during his talking-head interview. Back on Earth, just moments after the projector blinked off, and the house lights were gently raised from their slumber, Craig, Robert, and Doug took to the stage, to join the evening's compère, Nick Helm. HELM: Do you still enjoy working with each other, after all these years? 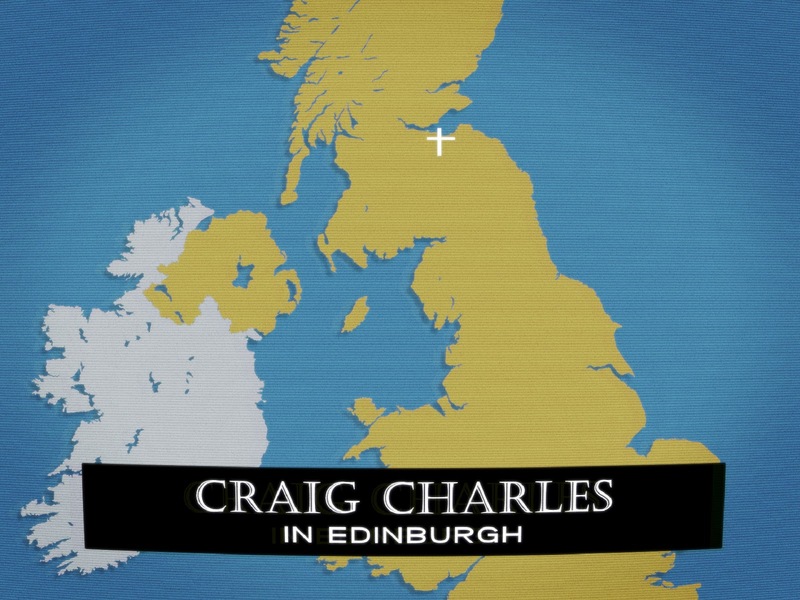 CHARLES: It actually gets better, really, you know. I've known these guys longer than I've known my wife and my children. They're the longest relationships I've had with anyone, really [...] It's like, thirty years, and [...] I do feel like we're brothers. We've got the same gags. LLEWELLYN: There's a lot of in-jokes, 'cause it's been going on such a long time, there's such a long history. "Where's Dan?" is the most commonly-used phrase. LLEWELLYN: And that's while we're shooting! HELM: Doug, when you're writing scenes, and put the characters in danger, do you ever worry that you're not going to be able to write them out of danger, and back into safety? HELM: Okay, brilliant. Moving on. Given the buzz, I can't imagine how tricky it must have been for the panel not to spill the nanobots, concerning the upcoming new series. Even so, just a couple of micro-mentions managed to sneak through a faulty vacuum seal in the airlock. But ironically, these only served to peak my interest, further. Never really understood this 'No spoilers' lark, myself. Particularly, as the show's arguably finest episode, Back To Reality more or less 'spoils' its own twist ending, just over halfway through. Anyway, rest assured, all looks/sounds good. Repeated rounds of applause by all. New series coming soon to Dave. Tune in, check out, have laugh. Before I go, once again, I'd just like to take a moment to mention the event's host city. 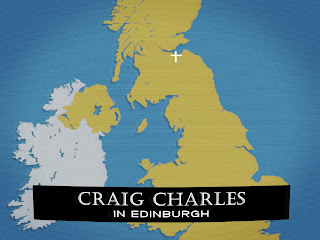 Edinburgh, as you may have guessed from my last set report, has in practically no time at all, come to feel like an old friend, in and of itself. On both occasions, I have found it a truly cool place to visit, and particularly around this time of year, being part of the heaving throng of visitors keen to experience the Royal Edinburgh Military Tattoo, and wacky poster-friendly Fringe. Filmhouse is a great venue to visit. So much so, that I returned the very next day, after learning of a highly-worthwhile 35mm screening of Trainspotting, ostensibly marking the flick's 21st Anniversary. It was the first time I had seen Danny Boyle's classic in its original format, and was also the first analogue screening I can remember attending in a very long time. Even though for years, I have quite rightfully found parts of the film difficult to watch on a TV screen, purely in terms of sheer effectiveness, these moments seemed all the more potent on the Silver. Revisiting Renton's Nightmare, in particular, was even more powerful an experience than I could have expected. Hearing the film's mix in all its glory and fullness proved just as worthwhile and wonderful an opportunity, too. Bravo. In fact, the sight of this truly enormous archway was enough to convince me to stop and use my last remaining available memory card slot to momentarily preserve it for posterity. Late last evening, I decided to watch Boyle's recent follow-up, T2 Trainspotting, having missed the opportunity to make the advertised double-bill at Filmhouse, due to other commitments. About halfway through the sequel, when Ewen Bremner's poor Spud quite literally goes for a walk down Memory Lane, he takes a moment to pause and reminisce about a particularly stressful period of his young life - in fact, the opening scene of the original film, where both he, and Ewan McGregor's Rent Boy leg it from Security towards the light of freedom seen through a nearby tunnel, just moments before the latter barrel-rolls over a 1987 Ford Sierra 2.0i GLS MkII, bearing that soul-starved, adrenaline-gilt grin straight down the eye of the lens. 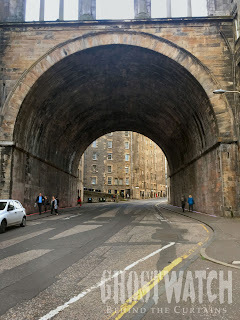 Unless I am very much mistaken, this was the very same tunnel on Calton Road I had seen dutifully projected, just hours before. Spooky, eh? On boarding the fairly busy carriage, right in the middle of rush-hour, I not unnaturally found myself along with several others, without an available seat. So, I held on to the nearest steadying pole (anyone know their proper name? ), as you do, and waited. Then, just seconds after we had moved off, I felt the last available squeeze of blood drain from my head. Quietly resting my head against the aforementioned manual clenching rod(? ), I took a steady breath, or twelve. Various disconnected muscle groups intermittently tightened and lapsed with unrequested effort, whilst an icy overhang of cooling sweat formed at my brow like the lip of a frosted mug. Until I forced them closed, my eyes had begun to wander like a signal-free sat nav sipping on its last, bereft battery bar. Within seconds, I sensed a person cautiously approach from aside. "Excuse me..." they almost whispered, causing me to snap back to society, and raise my dry stone skull. As my eyes refocused, I realised that this voice belonged to one of the city's many helpful and professional conductors. Taking another step closer, he simply said, "Just to let you know, several passengers, and also myself, would like to offer you their seat, if you need one." Boy, did I. But so genuinely touched by these acts of generosity and selflessness, and more than aware that everyone on-board were more than likely returning home from work, that I merely replied that everything was fine, and just needed a second. Because I'm generally so hard, and straight, and cool, like that. A few stops later, a seat naturally opened up, and I made a dash/lunge/wobble for it. By the time I got to the airport, I'm happy to report, I was starting to feel much better. Sorry to go on, but the point I suppose I'm trying to make in all this, is that I cannot speak highly enough about my recent choice of destination. If you have not yet visited the city yourself, I wholeheartedly recommend you consider doing do, if you can. So often, we adventure to new places purely for the one-off events, the history, the buildings, or the scenery. For Edinburgh, I'd say, it's for the people. And to those fine people that day, I say, thank you. Until next time, Ghostwatchers... try not to have sleepless nights.